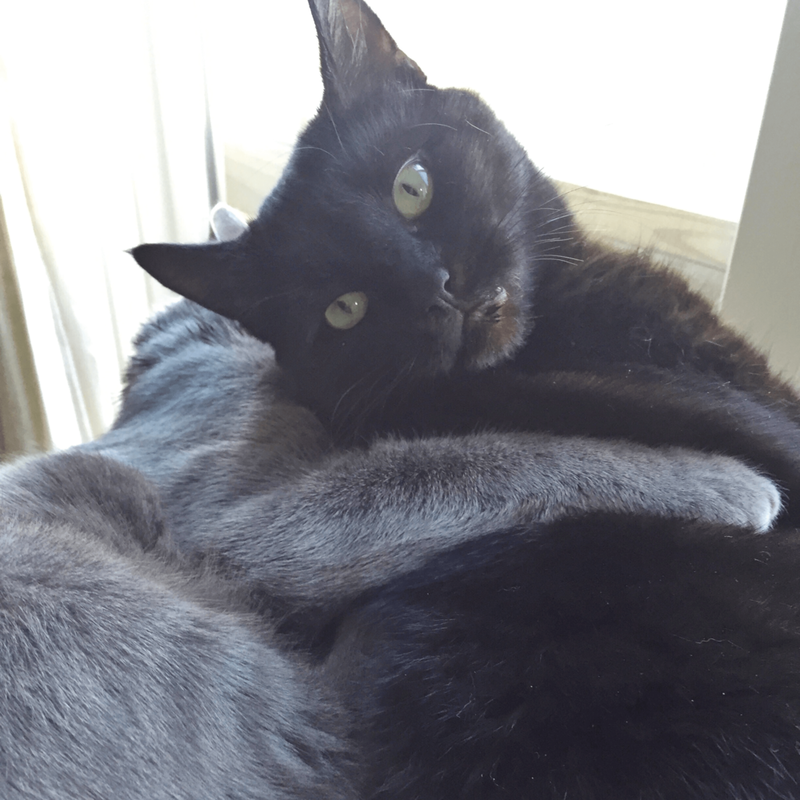 Mom says it was adopting a rescue cat – c’est moi – that changed her life – and mine! I would have to agree! What started as a deep-dive into the research rabbit hole of feline food allergies as I was itchy and licking and scratching all the time, ended up with her desire to share with you what I experienced and she discovered when she switched me to the BARF diet – biologically appropriate raw food – at least 90% animal protein. Mom felt that many of you were particularly interested in a more authentic lifestyle and diet for your pets. Additionally, many were dealing with the same allergy issues and she said “they need to know” that there is a simple solution that doesn’t involve chemicals, preservatives, and fillers or drugs. And then we adopted Beau, my little rescue buddy who changed me from being a bored, lonely alpha male with a slight feral streak, into an affectionate, happy two-cat family guy! Along the way, there were more issues for me to discuss with you. Food and Nutrition & Health and Safety became important areas of Best Life Pets to read to get my take on a proactive wellness routine and sustainable lifestyle. Our readers also let us know that they were interested in hearing about our TNR initiatives in our local area. Mom volunteers for our local rescue group and can testify that a steady and consistent TNR program is the only proven solution to reduce the stray cat population to zero. Wholistic Paws in Ridgewood, NJ – Karl and Katrina are not vets, but are very experienced in the holistic lifestyle for us pets. Their shop stocks a lot of great brands of organic food and treats as well as supplements and solutions to many common ailments and conditions. A special shout-out to Mercy Garcia of TLC Rescue, who was the one who rescued me and matched me up with mom! And who also suggested “a holistic approach” to hopefully cure me of my food allergy, and sent mom to Karl and Katrina, and in turn, started us on our wellness path. We also want to recognize our digital marketing guru who designed the Best Life Pets website with mom and then put it all together to make it what it is today! Rebecca has played an integral part in getting my story out there to all of you, and she knows how to express my snarky side very well! I hope to inspire you to try some of the simple things that have changed Beau’s and my life and will hopefully ensure a nice long life with mom! We wish the same for you and your pets! We all want to thank you, our blog readers and fellow pet enthusiasts, as well as our social media followers for liking what we post and believing in our message! See you in 2019!